"Politics of Identity: Exhibitions and Public Programs"
Based on the exhibition at MAAT’s Main Gallery, this debate discusses the environmental changes currently affecting our planet and critical and creative visions stemming from those changes. With Franco Bifo Berardi, Irene Campolmi, Ornaghi & Prestinari and Ursula Biemann. ICE- AT THE EDGE, introductory speech by Irene Campolmi, exhibition curator. Photos and videos by Nicolaj Pennestri, Italian Embassy in Copenhagen (December 10th 2016- February 26th 2017). Drawing from the International symposium “Black Mountain – Educational Turn and the Avant-garde” Museen Hamburger Bahnhof, Berlin, September 25-26 2016. Lecture, “Performance Art in the Art Museum”, organized by Hamburger Bahnhof – Museum für Gegenwart, Berlin and the Freie Universität Berlin (Germany), August 12, in collaboration with TATE Galleries (London), Louisiana Museum of Modern Art (Humlebæk), Stedelijk Museum (Amsterdam). Paper: Alternative Practice-based Strategies for Curating Performance Art. INTERCOM _ FIHRM Conference “The Ethical Museum”, ICOM Annual Conference 2016, Milan (Italy), Invited speaker in the INTERCOM Session, July 5-6. Conversation with Thomas J. Lax, Associate Curator of Media and Performance Art at MoMA, New York, within the International Symposium “Between the DISCURSIVE and the IMMERSIVE. A Symposium on Research in the 21st Century Art Museums”, Louisiana Museum of Modern Art, December 3-5 2015. Organizer and Chair. The even was organized in collaboration with Stedelijk Museum (Amsterdam, NL) and Aarhus University (DK). ﻿ International Symposium “Ethics and Art Institutions”, OVERGADEN Institute of Contemporary Art Copenhagen, (Denmark), November 28-29, Keynote Speaker. Paper: The Ethical Turn of Contemporary Curating. Keynote Speaker, paper: What is Curatorial Ethics? International symposium “Black Mountain – Educational Turn and the Avant-garde” Museen Hamburger Bahnhof, Berlin, September 25-26. Invited speaker, paper Between the DISCURSIVE and the IMMERSIVE: Rethinking research and Curating in the 21st Century Art Museums. Speaker in the panel “Global Perspectives on Museums”. Tate Liverpool, "Constellation", shot of the new collection display by Artistic Director Francesco Manacorda and his team, 2013. 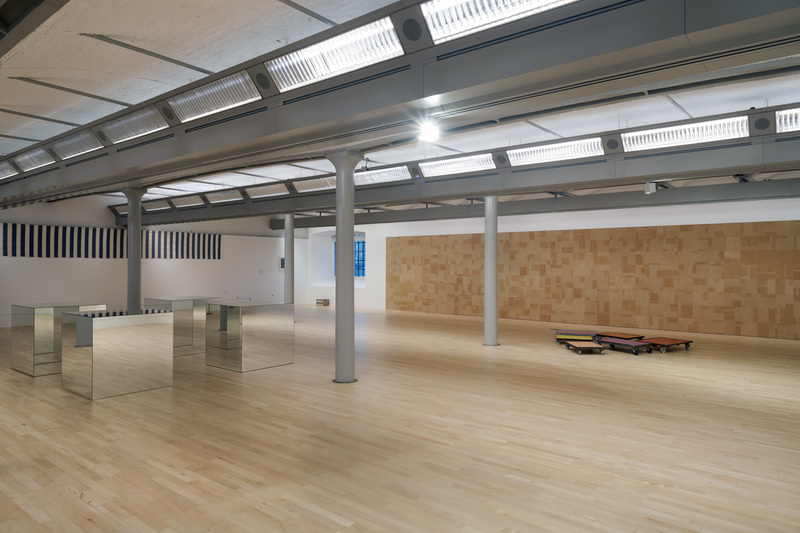 Tate Liverpool has been one of the case studies of my PhD thesis about "Reflections on the notions of Ethics, Research and Sustainability in the 21st Century Art Institutions".